With regular warehouse parties in LA, a whole season of boat parties and club shows in Ibiza and a weekly radio show on key London underground station Rinse FM, we are delighted to welcome Doorly to Toolroom Records for his debut release, the almighty ‘Boom Boom Room EP 1’. 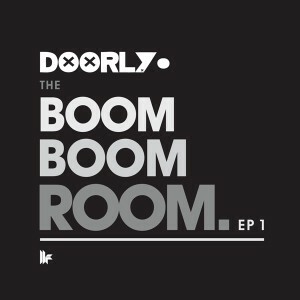 Having recently relocated to LA, Doorly is now giving full attention to his first love, house music, taking us back to those early days with the two tracks on his ‘Boom Boom Room EP 1’. Heading up the EP, ‘Wait Until The Morning’ keeps it deep and dark, creating a staunchly underground feel by layering effortlessly cool vocals over minimal and precise percussion, vinyl textures and an unforgettable groove. In support of this, ‘The Sleazy Drummer’ is all about the groove; with old school vocal licks and a nod to the urban feel of days gone by, this will take you directly to an underground club back in the day. These are tracks crafted for the dancefloor and there’ll be plenty of chances to hear them over the coming months, whether at one of Doorly’s warehouse parties or rooftop raves in LA, or at one of his many shows across the globe.